Almost immediately after Duluth began work cutting the canal in the fall of 1870, Superiorites—and indeed all of Wisconsin—went to work to end it. In September of that year, Wisconsin congressman Cadwallader C. Washburn alerted General A. A. Humphreys, the Chief of U.S. Engineers, about the dredging and requested that the federal government take action to halt the work. The suit was served on May 4, 1871—five days after the canal had become a navigable waterway. The Minnesota circuit court judge, R. R. Nelson, had many business interests in Superior and so recused himself. Because of this, the case was heard in Topeka, Kansas, by Supreme Court Justice Samuel Freeman Miller, who was “riding circuit” at the time (from 1793 until 1890, U.S. Supreme Court justices were obliged to travel to and preside over hearings in circuit courts throughout the country). In Topeka the attorneys general of Wisconsin and Minnesota squared off on behalf of their respective cities at the head of the lakes—that location was destined to become a major port, and both states wanted to reap the benefits. Relying on the reports of the U.S. Engineers, Judge Miller sided with Superior. Sort of. While Miller’s decision agreed with Superior, it did not require Duluth to stop dredging, but allowed the canal construction to continue on the condition that Duluth also must build the dike referred to in the complaint. Miller went as far as to state that if Duluth built the dike to the government’s specification, the injunction “may be modified or dissolved.” In other words, build the dike and the injunction goes away. The injunction was served on June 13, 1871. By then the canal stretched fifty feet wide and was eight feet deep. 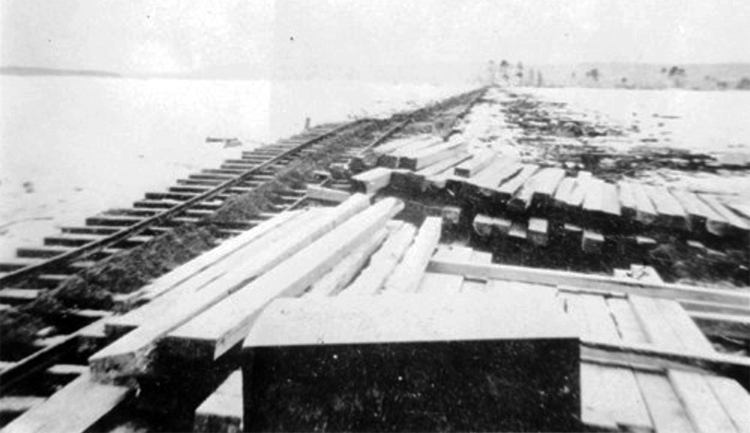 Workers began forming timber cribs to support the newly created shoreline on the north side of the canal. Money soon became a problem. 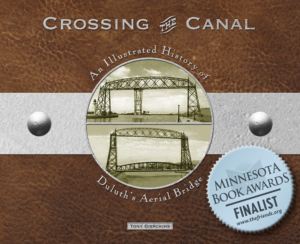 Duluth had already spent $50,000 on the canal and hadn’t even begun to build the dike. Attorney (and later judge) James J. Egan, acting as Duluth’s city attorney, wrote to General Humphreys, explaining the fledgling city’s plight and requesting that the federal government dissolve the injunction and issue a $100,000 bond to Duluth to complete the work—all on the condition that the canal would be completed by December 1, 1871. With Humphreys’ recommendation, the U.S. District Attorney dissolved the injunction in June that year. Not once did any of the legal action taken on behalf of the City of Superior stop the dredging and construction of the canal. Just over a year old, Duluth was the terminus of a great railroad, with a breakwater and docks forming an outer harbor and a ship canal to allow ships the safer harbor of the docks along the shore of Rice’s Point on Superior Bay. Jay Cooke, whose vast wealth financed the Union during the Civil War, was the town’s best friend. The future looked very bright for Duluth. But across the bay in Superior the grumbling continued; its leaders believed that if they didn’t act to close the canal, their city’s future would be forever shrouded in the shadow cast by its neighbor on the hill.